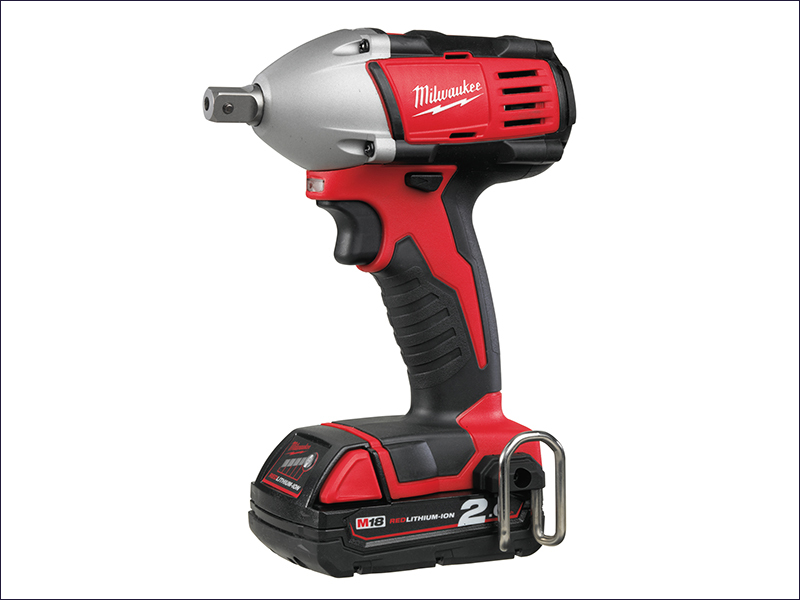 The Milwaukee C18 IW Compact Impact Wrench has a high performance 4-pole motor to deliver maximum power. It gereates high torque and its impact mechanism increases driving speed to an impressive 2,200 rpm. The impact wrench has REDLINK™ overload protection electronics in the tool and battery pack to deliver excellent system durability. A fuel gauge displays remaining battery charge state.